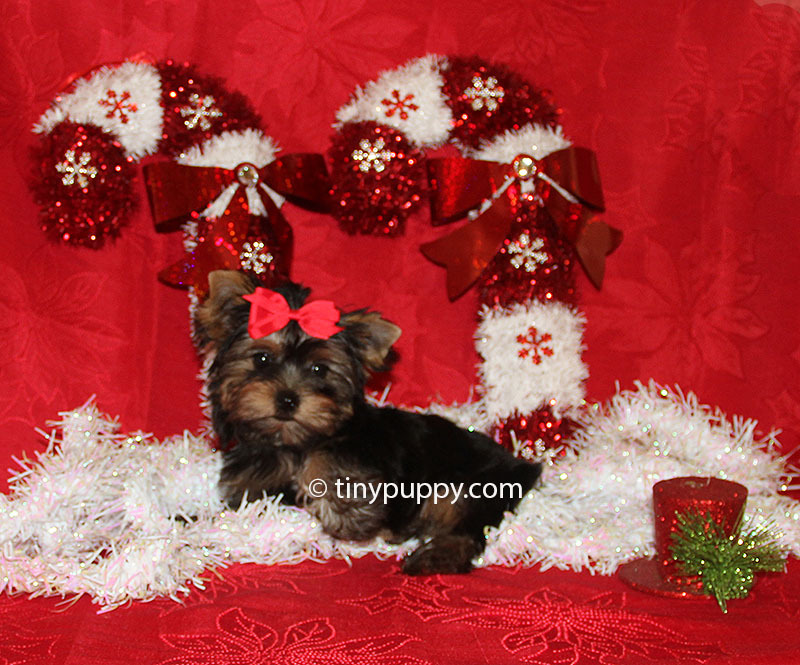 Little Yorkie Cookie is every Yorkie owners dream. 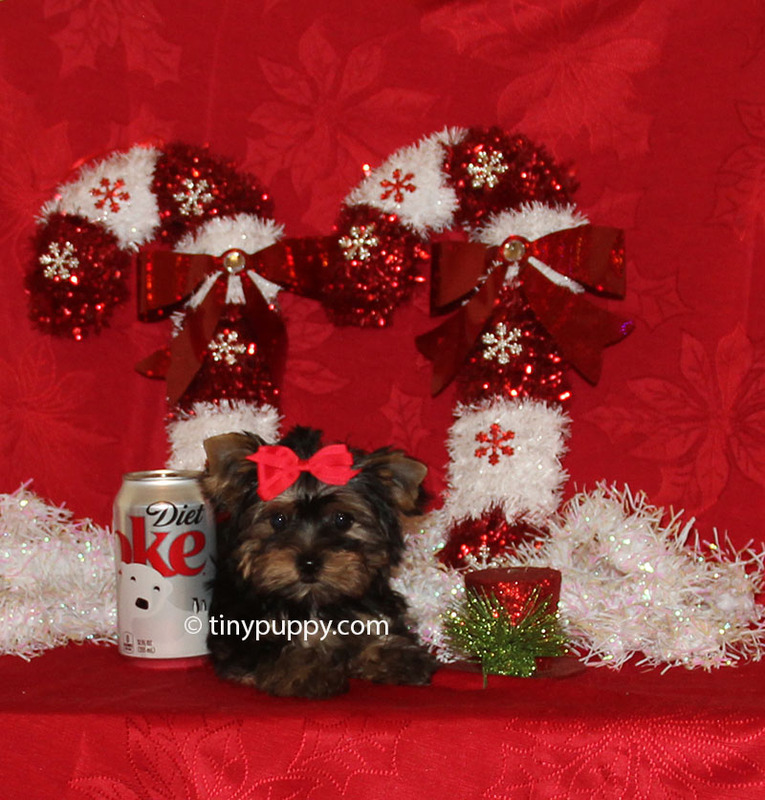 Cookie is just 1.8 lbs and 12 weeks old. She is the perfect little baby that can travel in a pet purse anywhere with you. 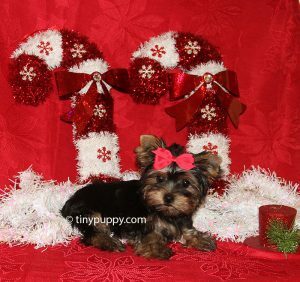 Snuggle up by the fire with roasted chestnuts and little Yorkie Cookie and let this little girl enjoy some belly rubs. Cookie is ready now to be in your arms forever.